Discovered in 1803 in London by S. Tennant. Iridium is a rare, precious metal which is hard, brittle and has a low ductility, which makes it a difficult material to work. 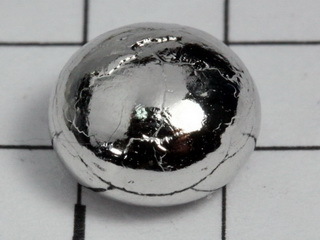 In appearance, it is a lustrous, silvery metal. It has an abundance in the earth's crust of approximately 3x10-6 ppm. As might be expected from its position in the periodic table, iridium is stable to air and water and is not attacked by any acids, including "aqua regia" (this acid is used to separate iridium from the other platinum group metals). However, fused NaOH will attack iridium. It is extremely corrosion resistant and is used as an alloying agent with metals such as gold and osmium to produce alloys which are extremely hard and have good corrosion resistance. Iridium is also used in spark plugs, and its radioactive isotope, 192Ir is a medium energy gamma emitter used for industrial radiography. Nice Iridium 4+ doped glass bead NEW! 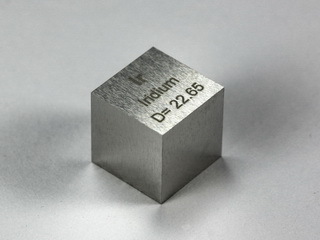 Iridium metal vacuum melted bead, 2.15 grams, 99,95% purity! 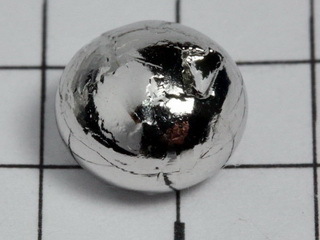 Iridium metal vacuum melted bead, 2.88 grams, 99,98% purity! 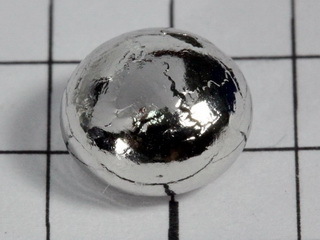 Iridium metal vacuum melted bead, 3.16 grams, 99,98% purity! 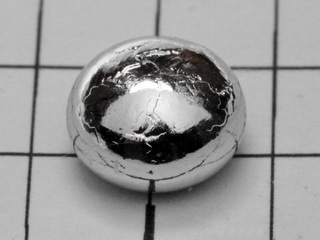 Iridium metal vacuum melted bead, 3.57 grams, 99,98% purity! 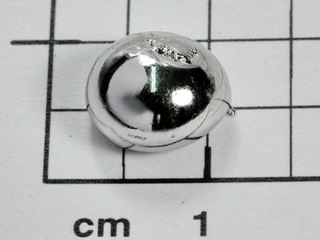 Iridium metal vacuum melted bead, 3.64 grams, 99,98% purity! 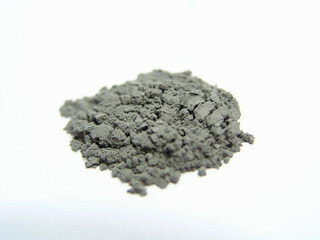 Iridium metal vacuum melted bead, 3.96 grams, 99,95% purity! 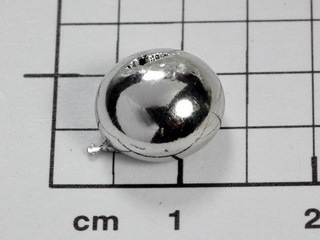 Iridium metal vacuum melted bead, 2.57 grams, 99,95% purity!